When Santa Cruz’s Tallboy debuted in 2009 it quickly established itself as The Bacon of 29ers. Just as strips of pork belly have the power to seduce vegans to the dark side, so too did the Tallboy convert 29er haters into wagon-wheelie'ing fools. The geometry was dialed. All the sins that had been dumped on 29ers' doormats were somehow absent in the Santa Cruz. The bike was nimble, it steered well and, above all, it was actually fun to ride. Santa Cruz updated the Tallboy in 2013, but engineers knew better than to futz with the basic formula. Instead, they improved pedaling efficiency, increased frame stiffness and shaved some weight. Our test bike, however, features the more budget-friendly (and a half-pound heavier) carbon frame, which explains why it sells for about a grand more than the brand's higher-grade Carbon CC Tallboy frame alone. To be honest, I've ridden both the budget and boutique frames and can't tell the difference in ride quality. Our test bike wears Santa Cruz's 'S' built kit with a Fox Float CTD Adjust Kashima rear-shock upgrade. The kit pairs a Fox 32 Float CTD 120-millimeter fork with a primarily Shimano SLX and XT component group. I personally prefer wider rims than the WTB STi19s found here, and the 2.2-inch Maxxis Ikon tires are underkill in my neck of the woods, but on the whole it's a solid build. Here's what you need to know: The Tallboy still rips. Yes, it can make a fearsome cross-country whip, but the Tallboy also shines as an all-purpose trail bike. Despite only having 4 inches out back, the bike is surprisingly capable on burlier trails. 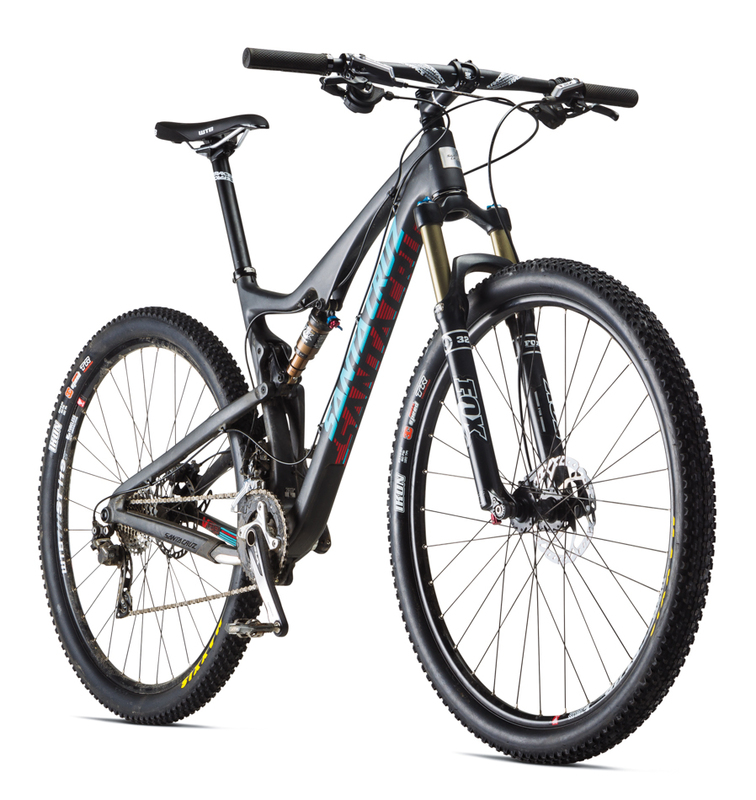 The Tallboy has a fun, 'poppy' flavor to it and very little squirrel factor to the ride. Sure, if you're solely interested in the catching of big air and seeking of the gnar, you'll want something with deeper suspension. However, with just a few tweaks (meatier tires, a wider bar and the addition of a dropper post), the Tallboy is as competent in the rough stuff as plenty of trail bikes with more squish. While the Santa Cruz doesn't sport the ultra-long toptube and super-short rear center dimensions of the latest breed of hard-charging 29ers, the Tallboy recipe is still tasty as hell.